Anyone who values quality, ease of use and beautiful design when choosing a food processor will not want to miss out on the Klarstein Curve food processor! 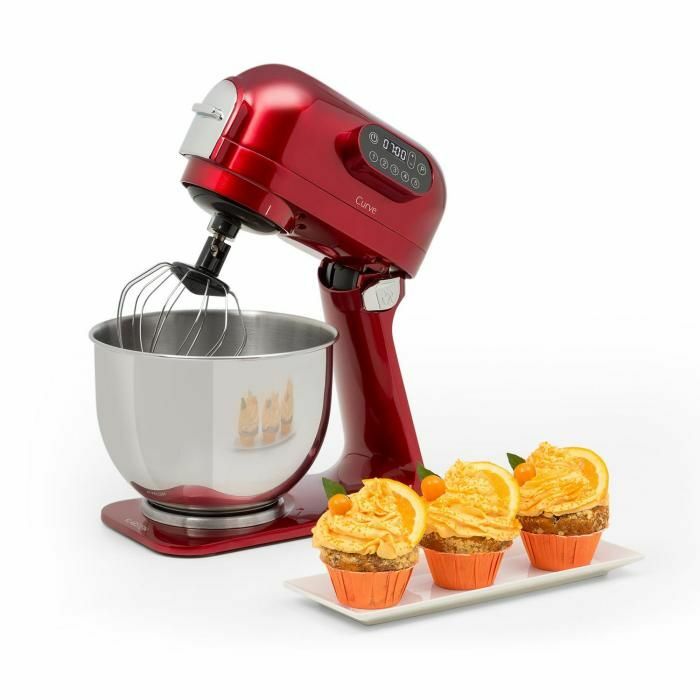 With its ergonomic design, the food processor not only fits visually into any kitchen ambience, it can also be used on smaller work surfaces due to its compact dimensions. With its 5 litres of capacity, the large mixing bowl handles even larger quantities of food and prepares it perfectly. An LED display with push buttons on the top of the device is available for precise operation. With 5 speed settings and a pulse function, the Curve food processor is perfectly suited to meet the requirements of modern kitchens. Of course, the machine works with the planetary stirring system, in which the interchangeable stirring elements rotate not only around themselves, but also permanently around the edge of the bowl. As a result, the mixing mass is always forced to the centre and optimally mixed. Included in delivery are a dough hook, beater and whisk made of high quality aluminium and stainless steel. Thus, you always have the right attachment: dough hook for dough, beater for medium-density foods such as salad and whisk for cream or butter. In addition to the accessories, the housing of the Curve food processor is completely made of aluminium and impresses with its excellent workmanship. Massive quality and best stirring results in a small footprint: the Curve food processor from Klarstein. What do you think of this Klarstein - The Online Shop for home & living deal? What a great find. Thank you for sharing this offer today. I do like the colour.